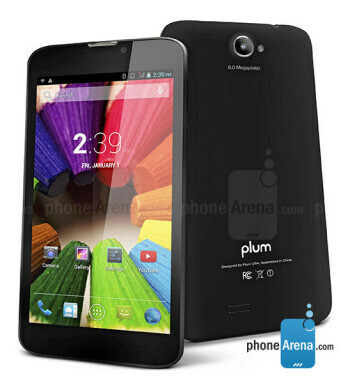 The Plum Coach Plus is a dual-SIM phablet, based on Android 4.2.2. 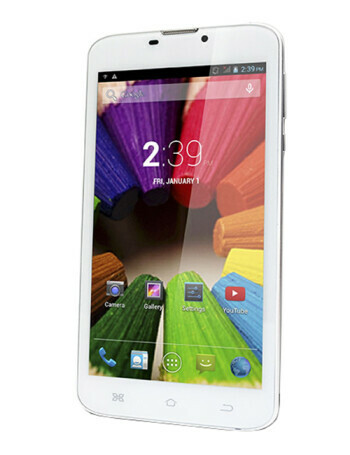 Its 6" display offers the lowly resolution of 540 x 960 px, and the innards are modest - 1.2 GHz dual core MediaTek CPU, coupled with 512 MB RAM, 4 GB of storage and a microSD card slot. 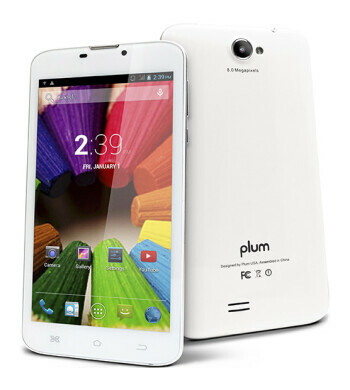 Camera-wise it comes with a 8 MP one on the back, and 2 MP shooter for video chat.